A party-boat brawl turned into a high-speed police chase through Brooklyn late Friday night that ended with police firing at the fleeing suspect’s car after it crashed, police and witnesses said. 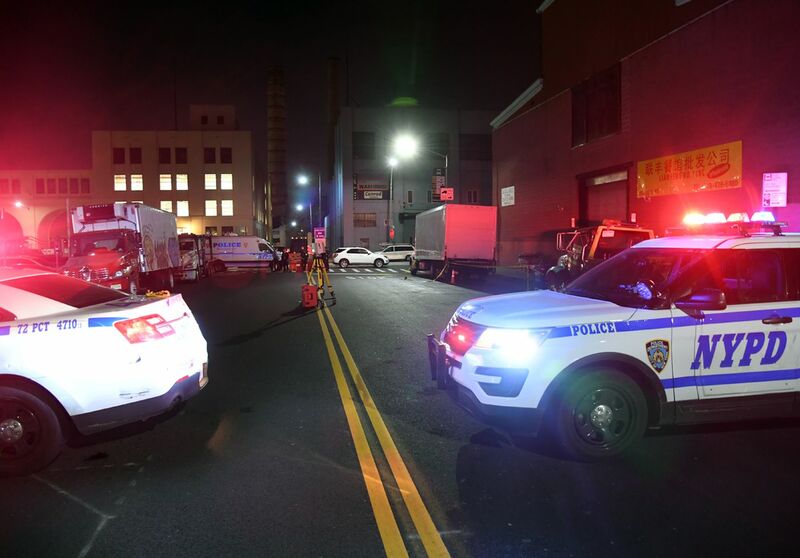 The chase began when cops responding to a fist-fight at Pier 11 on 58th St. and 1st Ave. in Bay Ridge discovered the suspects driving recklessly around 11 p.m., authorities said. 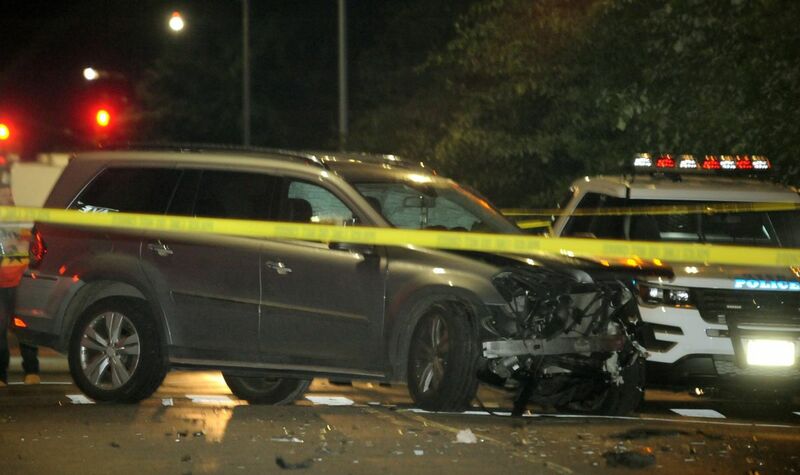 The suspects tore off with police in hot pursuit, driving nearly five miles before crashing into a silver Mercedes SUV at the corner of Ave C. and E. 8th St. in Kensington. The man, who declined to give his name, said two officers immediately jumped out of their squad car with guns drawn and approached two young men trapped in the wreck. “Show me your f—ing hands,” he said one of the officers shouted. “Don’t move or I’ll f—ing shoot you,” the other warned, according to the witness. Police fired one shot during the nearly 15 minute standoff. There was a bullet hole in the car’s windshield. The driver was treated for an injury to his left pinky finger at Lutheran Hospital. His passenger was uninjured. The three people in the Mercedes were also treated for minor injuries at a local hospital. Police found a semi-automatic handgun and baseball bat while breaking up the seaside skirmish, cops said. Investigators believe someone fired at least one gun shot during the melee. 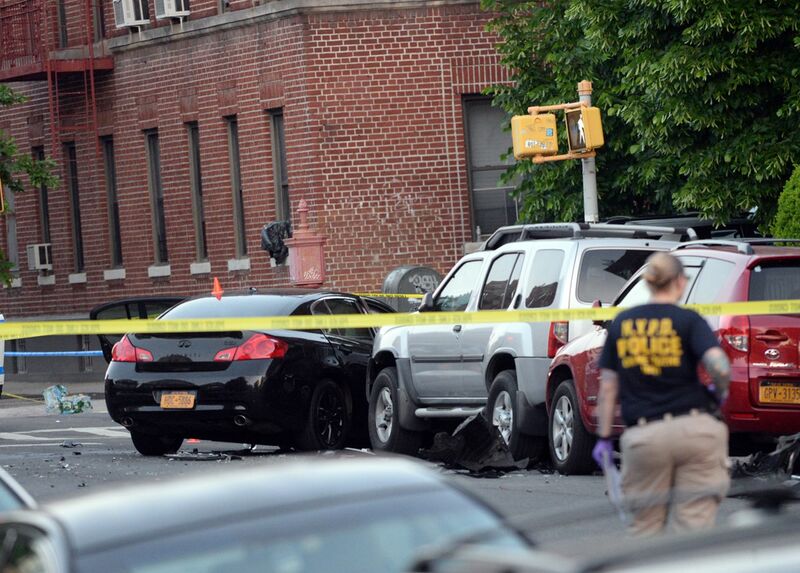 The NYPD’s Force Investigation Division is investigating the incident.